Cocoa Glow: Delectable DIY Chocolate Masks To Whip Up In Your Kitchen! "If you don’t like chocolate, we can’t be friends!" This is my opening statement to most people I meet. Chocolate for me is non-negotiable, you HAVE to like it. Unless it is a potential romantic partner, then I am okay with them not liking chocolate, it means there’s more for me. More than the endorphin boost that chocolate gives me, I love the aroma! The delectable bitter yet sweet musk-ish scent just makes my day. So obviously, I stock up on all things cocoa scented, be it candles or lip balms (I mean c’mon who wouldn’t love the Palmer’s Cocoa Butter scent, amirite?) Well, now that you have a visual (or olfactory sense) of the fact that I like smelling like a walking-talking chocolate bar. Let’s get down to more ways that chocolate can be introduced into your beauty routine and a BIG chunk of this section are taken over by chocolate face masks! Chocolate not only does a marvellous job of improving memory performance, vision, blood pressure and more, it is also a rich resource of minerals, vitamins and antioxidant properties. These help repair damaged skin cells and improve skin texture. Let’s Look At Some Amazing Benefits of Chocolates! 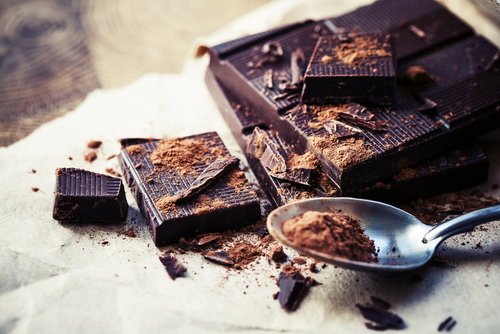 Believe it or not but chocolate is loaded with minerals and vitamins that are essential for your skin. It contains calcium, iron and vitamins A, B1, C, D, and E. Once applied onto your skin, it deeply moisturises it, and leaves it glowing and super soft. 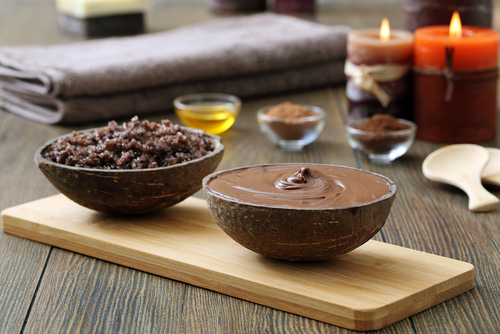 To get the best benefits of chocolate on your skin, make a scrub out of it! Did you know that a single cocoa bean is packed with polyphenols, tannins and flavonoids that have antioxidant properties which benefit both the teeth and gums immensely? They not only prevent bacteria from sticking to your teeth, they also fight bad breath! It also hardens tooth enamel which protects your precious teeth from cavities. If you want shiny bright teeth, eat more chocolate, we say! Minerals like copper, zinc and iron are essential for hair growth, and guess what? Chocolate has all of them! For a shinier texture and to speed up hair growth, it’s time for you to learn how to make a chocolate hair mask. Step 1 - You will need yoghurt, cocoa powder and honey. Step 2 - Add a tablespoon of each ingredient to a container and stir well. Step 3 - Gently apply it to your hair and let it rest for 15-20 minutes. Step 4 - After that, wash it off with lukewarm water. Eating a cube of chocolate every day can protect your skin from the sun! Like, how awesome is that? It contains flavonoids that act as a mild sunscreen. It’s like you can now eat your way to pretty skin! It can protect your skin from the harsh UV rays, prevent skin damage and provide hydration for your skin. Whenever you eat chocolate, have you noticed how good you feel after? That’s because it contains feel-good antioxidants. This very quality not only has a drastic impact on our mood, it also has the same impact on our skin. 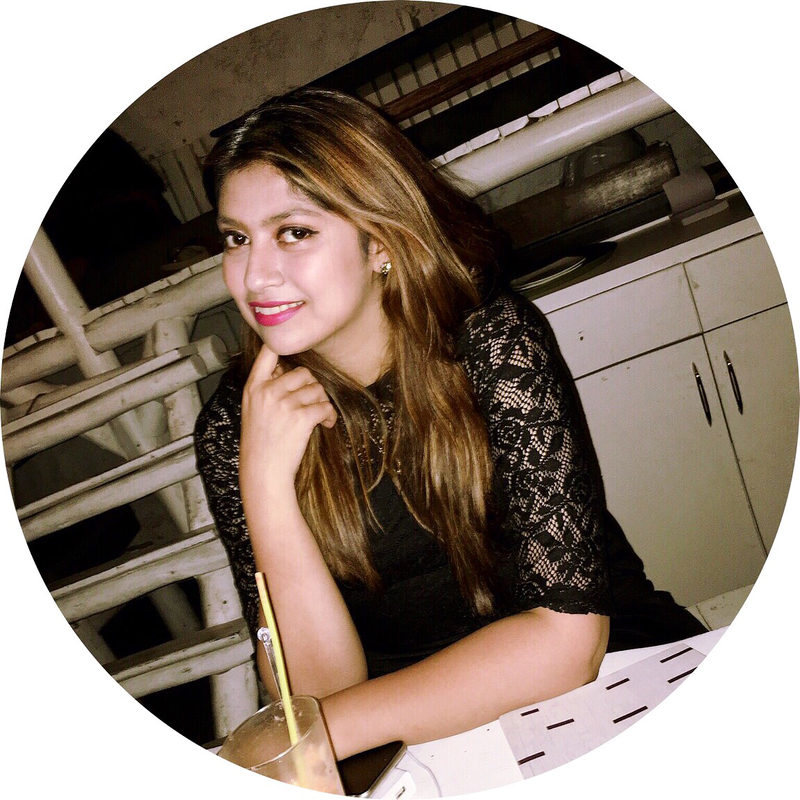 It helps fight stress which indirectly keeps the fine lines and wrinkles at bay. Making a chocolate face mask is a good way to go about using it even more effectively! If your skin is oily, and you’re starting to notice acne randomly popping up, you’ve got to do something about it! While there are many readymade scrubs to choose from, we urge you to make your own one at home by using chocolate as the main ingredient. The natural ingredients in your homemade scrub will get rid of the dead skin cells, remove dirt and excess oil and give you a glowing complexion. When you’re at the store, pick a chocolate bar that contains jojoba oil. Jojoba oil contains minerals, vitamins E and B complex that protect and repair damaged skin. A chocolate lip balm is what we’re hinting at! Step 1 - Fill a steel handi with water, and place another smaller steel handi over the water. Step 2 - In the container placed above, put half a cube of chocolate. Step 3 - Stir till the bar melts and add a teaspoon of gooey honey. Step 4 - Turn off the heat, and with your index finger, scoop a bit of melted hot chocolate from the utensil and apply it over your lips. Step 5 - While it cools off and dries, apply a thin coat of olive oil over your lips. Step 6 - Leave it on for 5-10 minutes and wash it off with lukewarm water. It’s yummy and will leave you with a softer, lusher pucker! Now For The Main Event, Chocolate Face Masks! Step 1 - Take 50 grams of chocolate (with 70-90% content of cocoa) and warm it up on the water bath till it becomes liquid (this is the double boiler technique that you would use for baking). Step 2 - Then mix 1 tablespoon of this liquid chocolate with 1 tablespoon of olive oil (you can use sweet almond oil, linseed oil or grapeseed oil instead) and 1 egg yolk. Step 3 - Mix it up well and spread the mask all over your face and neck. 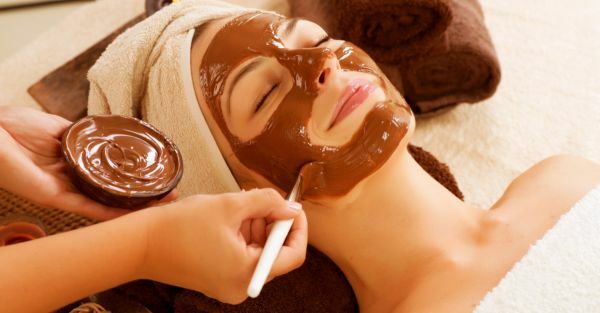 Make sure that the temperature of your chocolate mask is comfortable to apply onto your face. Step 4 - Keep it on for about 15 minutes and then rinse with lukewarm water. Step 1 - Warm up 50 grams of chocolate (with 70-90% content of cocoa) in a double boiler. Step 2 - Add apple, banana, strawberries and watermelon in your blender and scoop 2-3 tablespoons of this mix into a bowl. Step 3 - Add 1 tablespoon of melted chocolate. Step 4 - Apply the mask on your face and neck and wait for about 20 minutes before rinsing the mask with lukewarm water. P.S. I'm sure you have some leftover smoothie in your blender that you haven't added to the mask—just drink it, it is good for your skin both from inside and out! Step 1 - Mix 1 tablespoon of melted chocolate with 1 tablespoon of thick free cream and 1 tablespoon honey. Step 2 - Apply this mask on your face and neck for about 15 minutes and then, rinse it with lukewarm water. P.S. If you are still feeling sticky after the cleanse, just clean it off with your favourite toner. Step 1 - Mix 1 tablespoon of melted chocolate with 1 teaspoon of almond oil and 1 teaspoon of rosehip oil. Step 2 - Ensure that your mask is lukewarm and comfortable to touch and then add 1 drop of rose essential oil. Step 3 - Mix them well and apply the mask on your face for 20 minutes, then rinse with lukewarm water. Step 1 - Mix together a tablespoon of unsweetened cocoa powder and 1 tablespoon heavy cream to form a paste. Step 2 - Apply to clean, dry skin and leave the paste on for 15 minutes. Step 3 - Wipe off mask with a washcloth and rinse your face with lukewarm water and pat dry. Step 1 - Heat dark chocolate in a double boiler for about 3 minutes. Step 2 - Mix sea salt, brown sugar, and 2/3 cup of milk in a bowl. Step 3 - Add the melted chocolate to the salt and milk mixture. Step 4 - Allow it to cool slightly, but don't let it harden and then apply it onto your face. Step 5 - Leave it on until it hardens and wash it off with lukewarm water. Step 6 - Do not forget to apply moisturiser as the salt will take the moisture away from your face. Chocolate in any form, as you can see is PERFECT for your beauty and health. So go ahead, go cocoa-nutty!